Digital media is clearly on the rise these days as people use their computers, mobile phones, laptops, and tablet devices to read all sorts of content ranging from news sites to eBooks and even web comics. Although reading these types of media open up all kinds of advantages, it simply isn’t enough to kill off print media. Publishers are still printing out books for people to digest whenever computers are not available. There are still people out there that even prefer the printed formats so they won’t worry about things like readability and battery life. The same goes with comic books as there are still plenty of comic book series to check out. You still get that full advantage of seeing comic books in the colors that the makers intended and that literally makes it more exciting. It can even be inspiring enough for you to do some comic coloring yourself if you have the right materials and time to do it. Digital coloring is a rather tempting starting point since you can exercise your creativity without consuming paper but you will never grasp the true feel of actually holding a marker and trying to color evenly on sketches so it is strongly advisable to use sketches that you have and utilize your creativity from there. If you do not have sketches to work with, you can always look for sketches online and then print them using any standard monochrome printer and then proceed with the comic coloring. Before you even get started, you should prepare yourself with quality coloring materials. 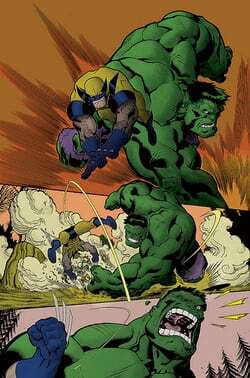 Professional comic book artists render their drawings on the computer and use high quality printers so they really look good but that can be very costly. You will only go that route if you really plan to sell the comic book for profit. In this case, you can settle for good color markers so the output quality closely reflects the comic books that you see in stores. Choosing good color markers for your comic coloring should be enough to separate your work from amateur comic book works. Prismacolor makes fantastic double-ended markers and are used by professionals. It is best to get the 48-pack because there are more colors available although the 24-pack is good if you are on a budget. 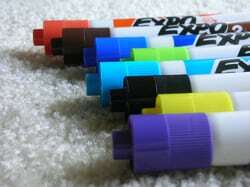 If these markers are not available, you can also go for the washable art markers by Crayola. Not only do these markers yield great colors but they are washable so you won’t have to worry about getting prints on your clothes. If you are still new to comic coloring, it is best to get yourself some sketch markers so you can practice making some illustrations on a sketchbook for later coloring. Mr. Sketch Art Markers are recommended for these types of tasks. Some creative comic artists make use of colored pencils because they give them finer control over coloring. They are commonly used for tracing so you can predetermine which areas should not have any coloring. Basic Prismacolor color markers have two tips with one of the tips being small. It is the larger end that you should use for coloring all those medium to large areas so you have that color consistency throughout the area. You can practice with any sketch you like by using the black marker and try applying the shadows so you have a better idea in figuring out which areas have the actual colors. This requires a little bit of knowledge on how lighting works. Generally, a light source like the sun will hit the objects from a certain direction. Areas that are nearest to the light source should have highlights while the areas further away from the source should have shadows instead. Comics always involve one or more characters that carry out the story so you should know the basics in shading specialized areas like the eyes, skin, and hair, which are the things you can safely move on to after you are done with the shadows. Doing this correctly is all about knowing some good color combinations. You can try comical combinations such as red eyes with black hair or red hair with golden eyes. When coloring smaller areas like the eyes, use the smaller tip of the marker to ensure that no color leaks out. Then when moving on to the hair, you can start using other tips. Just remember to avoid streaks by putting the marker in constant motion as you color. It is also recommended to mix colors together so the hair color is different than other parts of the comic page. Once you know how to do simple comic coloring, your next step would be to explore the more advanced areas such as the use of different types of markers to further improve your color consistency and accuracy. The Copic markers are also popular amongst artists because they are wide and ciao markers hold different amounts of ink. It also helps to have many copies of your sketch so you can practice other color combinations or try doing the comic coloring using the different marker types so you can get a feel of the strengths and weaknesses of each marker. Proper use of every type or marker will result to the finest quality color comics. Don’t forget to check the web or read other comics to get some inspiration on how color comics should be colored. You do not have to copy these styles directly as it is always good to show off your own creativity, but getting ideas from multiple sources can inspire you to improve your skills even further. Once you are comfortable with coloring your favorite sketches, challenge yourself with other themes or tackle bigger drawings where you can make use of more colors and mixtures. This is where comic coloring can really turn into a serious hobby. This book is exactly what anyone who wants to learn how to color any type of linework in photoshop. It reads a bit like a textbook and even includes homework sections so that you can practice what you’ve learned. The book comes with a CD-rom full of helpers including photoshop scripts, examples of linework, and background effect helpers. This book is a must have for anyone who is starting in this line of work.